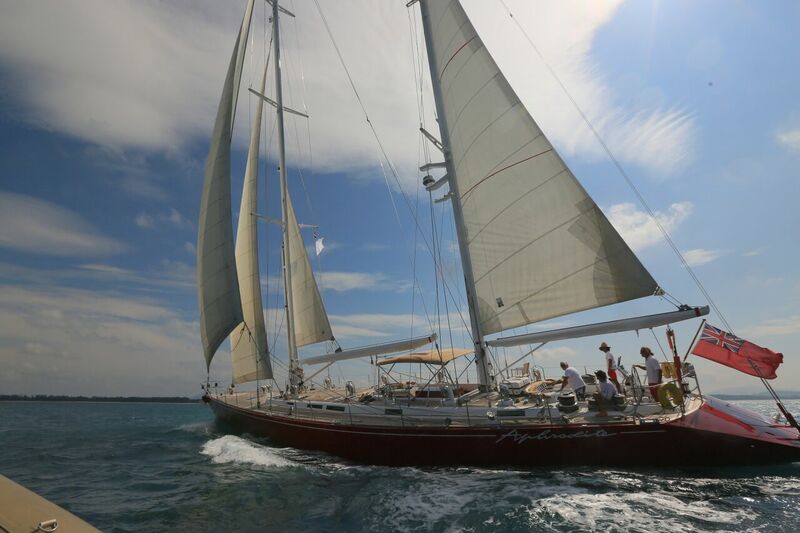 Home » » Asia Superyacht Rendezvous » Sailing superyachts signing on for ASR Winner’s Cup! Celebrating its 17th year, stunning sail and motor superyachts from the far corners of the world will gather at the exclusive Asia Superyacht Rendezvous ‘ASR Cup’ racing & social event on Phuket, Thailand 19th-21st January 2018. 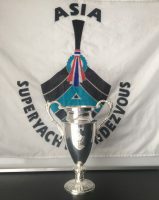 The only event dedicated solely to superyachts and their owners & guests and captains & crew, the second ASR Winner’s Cup will be up for grabs during a highly competitive (but still friendly) two days of racing – luxury sailing yachts La Nunumero Uno, Aphrodite and Tribune confirmed. The regatta will be launched off pristine Mai Khao Beach, home to the host hotel, the Sala Phuket Resort & Spa. The invitation-only superyacht sailing regatta will be accompanied by an entourage of motor superyachts, with all on board enjoying a close-up viewing of the exciting races. 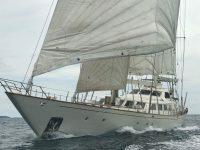 Confirming their return after winning the first and inaugural ASR Winner’s Cup last year, the luxury sailing yacht Aphrodite has pledged to take home the Winner’s Cup again, as the overall Race Winner. Winning the first-ever ASR Cup, S/y Aphrodite along with other attending superyacht owners, guests and captains & crew turned the sociable racing events into a wealth of revelry. Another contender confirmed to attend the 2018 elite regatta is Intrigue, a sloop sail built by Yachting Developments and launched in 2005. This luxury vessel’s sophisticated exterior design and engineering are the work of Dubois Naval Architects. Both sail and motor yachts of 70’ and greater are welcome to contact the longtime organiser, Gordon Fernandes, at gordon@asia-superyacht-rendezvous.com for an invitation to attend the elite event. The longest-running event of its type in Asia, last year’s motor yachts in attendance with sailing yachts included M/y After 8, M/y Azul A and M/y Vie San Soucis, with superyacht Azul A also serving as the committee boat. These mammoth vessels marked the race course where the sailing superyachts competed for bragging rights, which included Aphrodite, Bliss, Dallinghoo, and Tiara. Reporting on the other activities during the ASR Cup, organisers are delighted the opening night VIP cocktail party will be held aboard the amazing S/y La Numero Uno. Following the next day’s first race, the highly competitive and festive ‘Challenge’ will be held on the grounds of the beautiful Sala Phuket Resort. The model boat construction & sailing ‘Challenge’ competition is made up of superyacht crew member teams and requires teams to build, then compete in heats of two – by one team member blowing with all their might into the tiny sails of their vessel as each boat floats along a three-foot trough while those watching cheer on their favorites. This year the Sala Phuket Resort is offering ten lucky guests, staying at the resort from January 19 to 21, 2018, an invitation to experience a superyacht sailing race and evening parties during the 17th annual ASR Cup.